In addition to the traditional ‘low-tech’ based process of pull-tagging for finish place, A2RM is pleased to now offer Chip based timing! 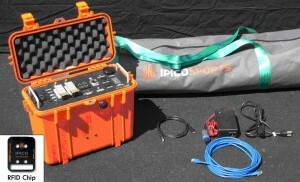 IPICO is a mat-based system with several options for recording both finish order and time. * a re-useable shoe tag (size and shap of a dog-tag). This is the least expensive as it is re-useable which makes it environmentally friendly too! 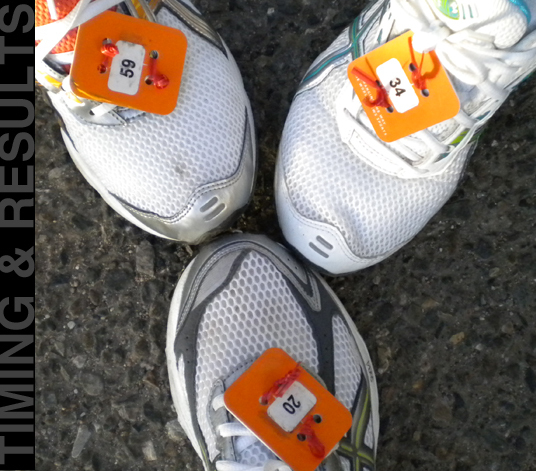 * a one time use shoe tag – these are great because they can be customized to the event including race logo or even sponsor image art if we are given enough time to process! 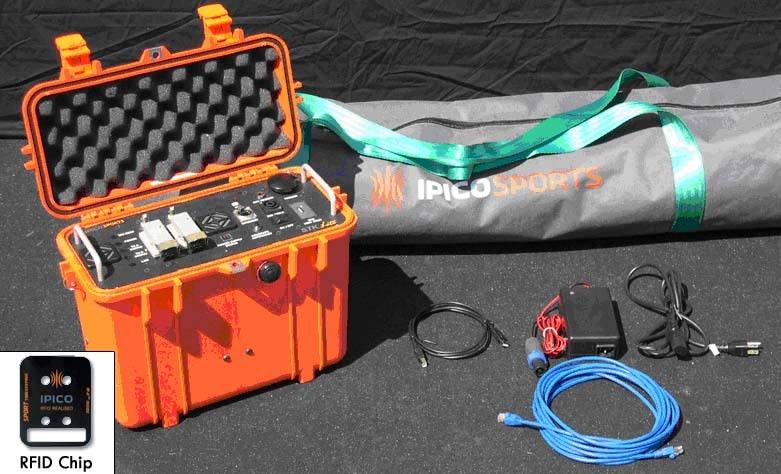 The IPICO system offers us a lot of flex in events that require chip starts, or events that include ‘splits’ such as triathlons. Chip based pricing is more expensive than pull-tagging but is a great way to handle events of all sizes!